Friends and other peer relationships can motivate students to engage in school work as well as in extracurricular activities. To understand when and how peers matter, research on the positive and negative engagement “effects” of friends, peer support, and socially marginalizing experiences, such as peer rejection and bullying, is reviewed. The chapter starts with a brief summary of research demonstrating the links between school belonging and academic engagement and extracurricular involvement. The ways in which selection of friends and the influence of friends, quality of friendships, and type of friendship support (academic or emotional) are related to academic engagement and extracurricular involvement in school are then discussed. Studies examining whether the number of friends or the size of peer network is related to school engagement are also included. 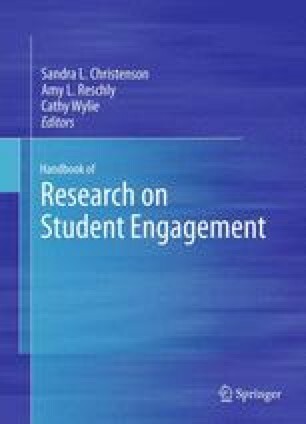 The chapter ends with a discussion about future research needs in relation to the role of peer relationships and student engagement, and implications for school policies (e.g., academic tracking, grade retention, and extracurricular practices).